'The best player this country has ever seen' was Jordan Henderson's instant response when asked to sum up Steven Gerrard's contribution to the England cause after he called time on his international career. The Liverpool captain announced his decision on Monday after a total of 114 appearances for the Three Lions, making him the country's third most capped player of all time. Henderson admits he's sad to see Gerrard retire from international duty, but believes the skipper did so with the Reds in mind. He told Liverpoolfc.com: "He's probably been the best player this country has ever seen - not only as a player, but also as a leader and a captain. "For me, playing with him is a pleasure and hopefully I can continue to do so for a very long time at Liverpool. "For England supporters, it's disappointing because he's such a big player, but at the same time, for Liverpool fans it's a big plus because it means he'll be fresher and can have more breaks when internationals are on - and he'll be raring to go." Henderson added: "He's still got a huge part to play [at Liverpool]. That's probably swayed his decision in terms of being fresh for the Champions League. He wants to make sure he's 100 per cent in every game for the club. "That is what will have been playing on his mind, and he'll have a huge impact this season." Henderson has openly acknowledged the impact Gerrard has had on his career so far - but he insists it's not just been on the pitch that the No.8 has had an impact. "I've always said since day one since I came here, he's helped me progress as a player and as a person as well," he said. "I've got a lot of thanks to give to him for that. "Going away with England, he made it very comfortable for me - along with many other players as well. I'm sure everyone will miss that. "It's time for the [England] players to take responsibility and step up." Gerrard's final act as an England player was to captain them at the 2014 World Cup finals. The Three Lions bowed out of the competition at the group stage, but Henderson feels it was an experience that can be built upon. "Playing in games like that, it doesn't get much bigger," he said. "It was a great experience for everybody involved, but at the same time it was disappointing what happened. "You've got to learn from the experiences as best you can, take it on board and keep improving as a player." Henderson and Gerrard were part of the Liverpool squad that touched down in Boston on Sunday to begin pre-season training ahead of 2014-15. It's a return to Harvard University for the Reds having been based here on their previous trip to North America in 2012. He said: "We came here a couple of years ago, so I'm quite familiar with the place. It's got great training facilities, it's good for the weather as well and makes us work even harder. Everybody is looking forward to it." Asked how he felt he'd developed since his last trip to Boston two years ago, Henderson reflected: "A lot. Two years is a long time. I'm more mature, I've experienced a lot over the two years. "Hopefully I can keep continuing to improve all the time and keep working hard. I hope the next two years can be even better for me." The trip across the Atlantic will see Liverpool ramp up their pre-season preparations ahead of the new campaign, with Brendan Rodgers' men set to play four matches across the country over the next fortnight. And Henderson feels the Reds can draw plenty from their second-place showing last term as they aim to go one better this time around. 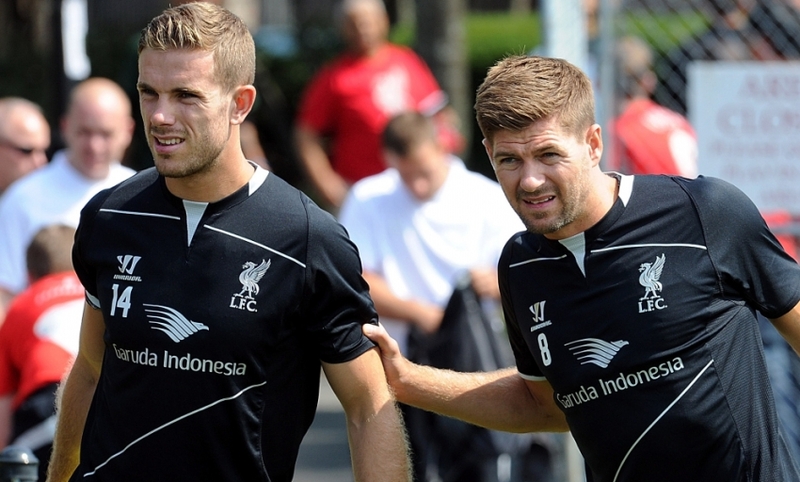 Henderson: "A lot of the players, the whole team, can take great confidence from last season. Maybe we're a little bit disappointed we didn't win the title, but at the same time I thought we were outstanding. "A lot of confidence will be taken from last season, but it's a new season and we've got to start afresh. We've got a lot of new, quality players in, so hopefully they can bed in well and help us have a great start to the season."